Two diverse countries and cultures are linked with warmth and charm in this two-in-one picture book. This innovative picture book comprises two stories designed to be read simultaneously - one from the left, the other from the right. Page by page, we experience the lives of two little boys - one from an urban family in Sydney, Australia, the other from Morocco. From busy motorways to desert landscapes, these worlds couldn't be further apart. Yet with the journey of a homemade Moroccan carpet into the Australian boy's home, we can see how these separate lives become intertwined. At the book's conclusion, the family in Sydney can be seen enjoying their new purchase together while the Moroccan family are surfing the internet. 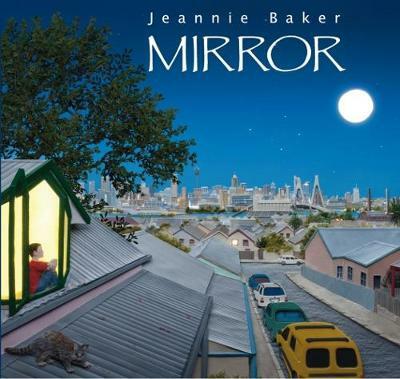 A powerful book, Mirror illustrates how our lives reflect each other and that we are all, even in some small way, connected.